Two of the FA Cup’s most successful teams battle it out this Friday as Arsenal host Manchester United at the Emirates Stadium. The Gunners, who are record 13-time holders, will be wary of United catching them up, with the Red Devils holding the FA Cup 12 times in their history. 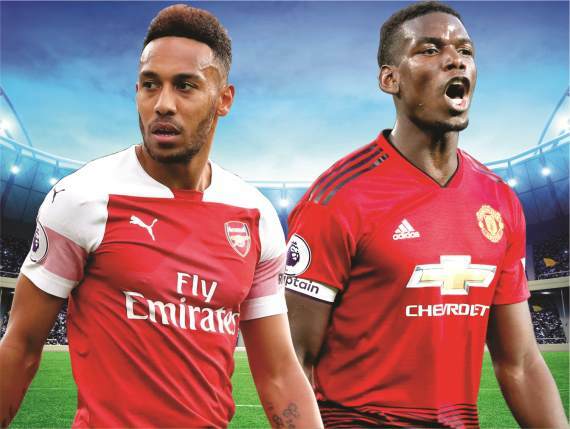 Both Arsenal and Manchester United will be confident coming into this fixture, with the Gunners outclassing Chelsea in their last tie, while Ole Gunnar Solskjaer has won all seven of his games in charge of United. With both sides expected to field a strong line-up, this has all the makings to be a thrilling encounter. A massive test lies in front of Arsenal, with the whole world watching this tie to see if they can keep up the consistency, which they’ve lacked in the past – resulting in a woeful end to their season, year after year. The Gunners are off the back of their most complete performance of the campaign, taking their chances against Chelsea, while they also managed to keep it tidy at the back in what was a dominant 2-0 victory over the Blues. Unai Emery got all his tactics spot on and has proved to be a master tactician, studying each and every one of his opponents. The Spanish boss will likely go with the same approach to shut down United’s midfield, with Lucas Torreira and Aaron Ramsey expected to do the dirty work, while the likes of Granit Xhaka and Matteo Guendouzi are freed up to bring the striking partnership of Alexandre Lacazette and Pierre-Emerick Aubameyang into play. The last time Arsenal met Manchester United in the FA Cup, the Gunners came out 2-1 victors in 2015 at Old Trafford, thanks to goals from Nacho Monreal and Danny Welbeck. Emery will know that another win here is vital, with the former PSG mentor pushing for silverware in his first season at the helm, while a replay at Old Trafford is definitely something Emery will want to avoid. For Arsenal, goals have never been an issue. With the quality that they possess up front, it’s almost a guarantee to find the back of the net. What has been the Gunners’ downfall in recent years is their defence. But after the superb display that Sokratis Papastathopoulos and Laurent Koscielny showed against Chelsea, once again, the problem for Arsenal becomes consistency – because as they’ve shown, Emery’s men are certainly capable of doing what they have been doubted over doing for the past couple of seasons. That result against Chelsea showed that teams can now fear going to the Emirates Stadium again. For Manchester United, departing ways with Jose Mourinho has fully been justified with Ole Gunnar Solskjaer bringing back the feel-good factor at United, winning all seven of his matches coached so far. Looking at it from the outside, it seems like the Norwegian isn’t doing much in terms of tactics, but getting each and every single one of his players expressing themselves and getting the best out of them deserves massive credit as well. Since Solskjaer has taken over the club, his side are yet to be trailing in a match, which shows great character to take the game to their opponents, although it hasn’t given us any indication as to how they will respond after going a goal down – which isn’t a major issue to worry about for United. In fact, Manchester United have had no problems thus far under Solskjaer. Personally, I don’t see why he shouldn’t be given the job permanently at the end of the season. The main turning point in United’s form has been the rejuvenation of Paul Pogba. The World Cup winner with France has netted five times since Solskjaer’s appointment, but its more than just his goals that has seen Pogba in the limelight. Another player who has transformed under Solskjaer is Marcus Rashford. The England forward has terrorised the opposing defenders and has scored some crucial goals for United in the process. Given the opportunity, Rashford will be hoping to continue his superb form for the Red Devils, especially doing so against the club where it all began for him – netting a brace against Arsenal on his league debut. Apart from Pogba and Rashford, United have star players all over the pitch including Jesse Lingard, Anthony Martial – and arguably the planet’s best goalkeeper in David De Gea – who had one of his best ever games against Arsenal last season. Cech; Maitland-Niles, Sokratis, Koscielny, Monreal; Guendouzi, Xhaka, Torreira; Ramsey; Aubameyang, Lacazette. De Gea; Dalot, Bailly, Lindelof, Young; Matic, Herrera; Mata, Pogba, Sanchez; Rashford. As far as predicting goes, this will be one of the toughest games to call this season. Both teams are off the back of morale-boosting results, while the midfield battle should be intriguing given the form of both sets of players. If I were to pick a result, I fancy these sides to cancel each other out and take the replay to Old Trafford, but for the sake of finding that extra value, back Lacazette & Rashford to Both Score at 6/1.